More than just a Poultry Operation. This Farm sits on 112 Acres with 50 Tillable Acres that could be also be used for Future Poultry Farm expansion. 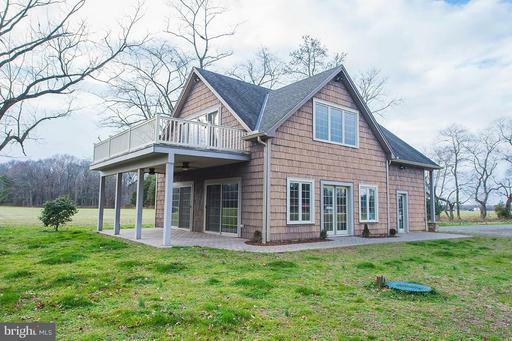 50 Wooded acres, Great for Hunters or Nature Enthusiast. The Poultry Farm features 2-42x500 Broiler Houses currently under contract with Mountaire. Roxell flood feeders, Val Drinkers, Vortex Tunnel Fans, Rotem Controllers, Aerotech Recirculating Systems, and Shenglo Radiant Heaters are some of the Featured Equipment. 45 KW Generator with Automatic Tranfer Switch Included. A 40 x 60 Manure Shed with Composter is also in place. Two John Deere Tractors with a litter saver as well as a Golf Cart will convey with exceptable offer. There is a 1400 ft dwelling house with two large outbuildings(one featuring a workshop) that are also a part of the property. This unique property is yours for the taking. Grab your piece of the Shore Life. Dreaming of Living on the water? 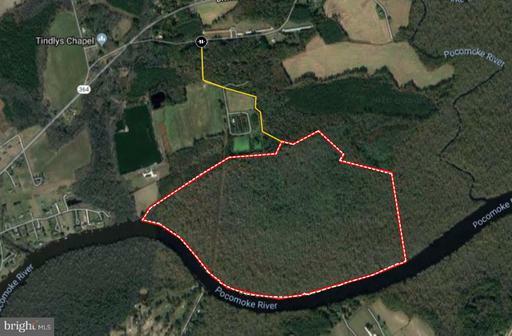 Now you can with this beautiful Cape tucked away on a dead end street on the deep water Scenic Pocomoke River! Fish from your private dock or relax and catch sunrises & sunsets! This custom built 3 Bedrm 3 bath home split bedroom design features spacious great rm which opens to the beautiful sunroom where panoramic views abound! Dine al fresco on your lg deck overlooking the scenic river as you marvel in Mother Nature at her finest! Watch the eagles & great blue heron soar & fish jump! Plenty of counter top space for casual inside dining in the kitchen which even includes a pantry! Prefer to dine in the dining area? Panoramic views abound there as well! The Master Bedrm, removed from the other 2 bedrms, features 2 walk in closets and a spacious master bath. Need an office or study? Room for that as well in one of the front rooms off the foyer. This home features a drywalled walk up attic as well, with all the rooms mentioned on the first floor.! 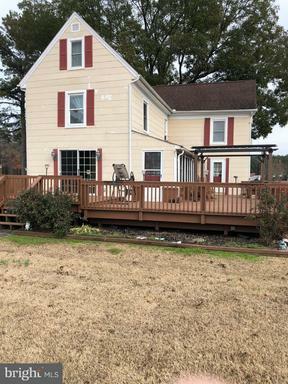 Enjoy country living as you rock on your front porch marveling at the beautiful country setting, a great place to catch magnificent sunsets, too!! 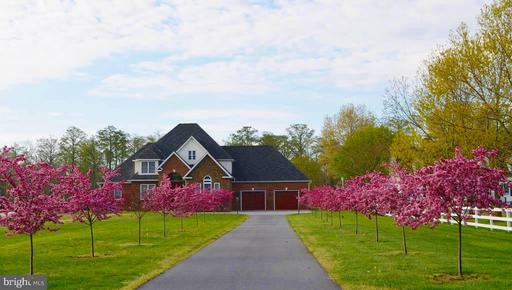 This beautiful property even features a 3 car garage (part is heated). Get ready to fall in love with the scenic Pocomoke River where you can escape for a day on the water! Take a short cruise by boat, jet ski canoe or kayak to the riverfront restaurant in Pocomoke or head to lunch in Snow Hill, or in the other direction to Crisfield by the Pocomoke Sound & Tangier Sound to Crisfield as head back as sunsets. Prefer to take a trip to the Chesapeake Bay and Western Shore, yes, you can do that as well! Conveniently located to Chincoteague, NASA Wallops Flight Facility and Ocean City! Life here on the Pocomoke is good indeed!! Well is a shared with neighbor to the right. Private road. The Bowland Tract is a well stocked plantation of hardwoods and pines. 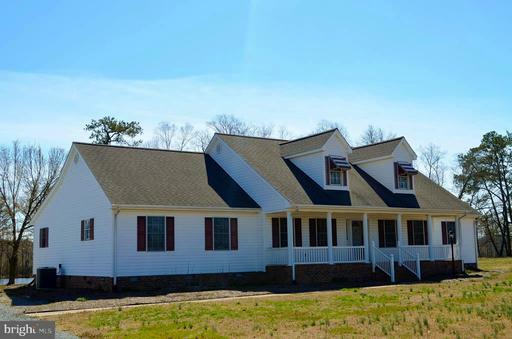 Located North of Pocomoke City with frontage on Courthouse Hill Road. The tract is surrounded by neighboring forest and cropland. There is an existing hunt lease on the property that can be terminated or continued at buyer's discretion. Several urban centers are within a 2-3 hour drive of the property: Zoning is AR agricultural-residential district. Property is in a Forestland Conservation Easement. List price does not include building rights, which may be purchased for an additional fee. 8.17 ACRES FRONTING ON BUSY OCEAN HIGHWAY. PERFECT FOR MOTEL, RESTAURANT, RETAIL, ETC. PROPERTY NEEDS TO BE ANNEXED INTO THE CITY FOR CENTRAL SEWER. ADDITIONAL 20.86 ACRES AVAILABLE FOR $199000. Aerial view is of 501146, 8 acres & 5001148, 20 acres. Owner financing available on this paved .81 acre commercial lot on busy US 13 Ocean Highway. Located between Don's Seafood and Monumental Ins. Ready to build. Traffic consists of approx. 20,000 cars per day. Public sewer available. Highway crossover in front of lot.